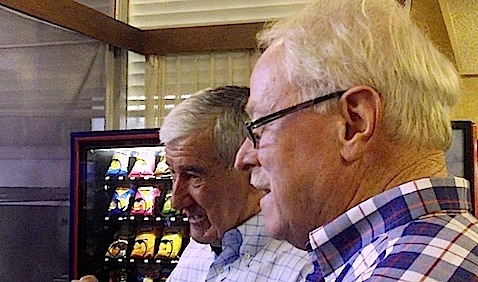 Bill McKenzie filled many key executive rolls at TVW and later become the first Managing Director of NEW-10 in Perth. 1959-1963 Joined TVW June 1959 and worked in Traffic, Programs & Publicity. 1978-1982 Group General Manager TVW Enterprises Ltd.
1986-1987 Chief Executive Network 10. 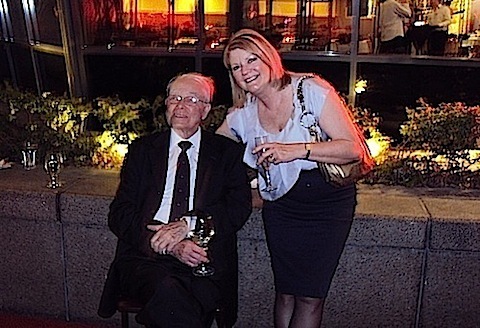 Bill was one of three key former TVW executives to work for Rupert Murdoch after Robert Holmes à Court’s Bell Group took over TVW Enterprises. 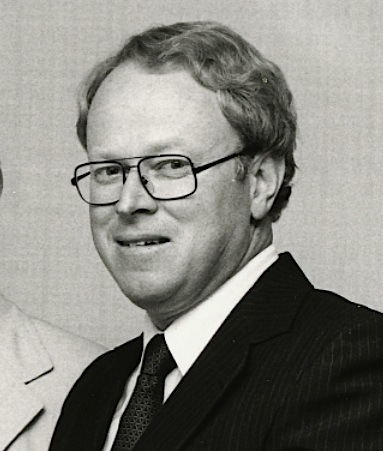 During this time Bill was the Managing Director of ATV Channel 10 in Melbourne, Max Bostock was the Executive Director of Network 10 and later CEO, and interestingly, Sir James Cruthers followed Bill into the fold in 1983 by accepted a position at News American Publishing Inc as personal advisor to Rupert Murdoch, working with Murdoch for seven years in New York, London and Los Angeles. 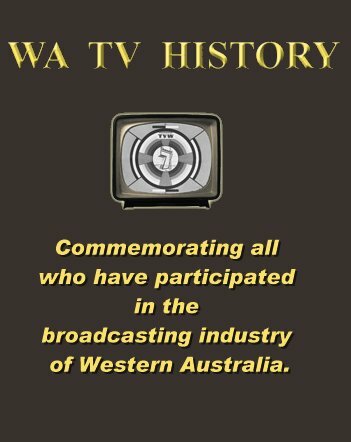 Oddly enough, back in 1959 Sir James application for the first television license in Perth defeated the Murdoch backed Western Television Services Limited application. The successful company was TVW Limited, for which Sir James was the first General Manager. 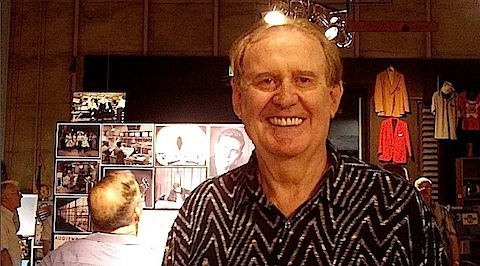 It was Max Bostock and Bill McKenzie who played key roles in the soap opera Neighbours moving stations from Seven to TEN. When the show moved to TEN in 1986, its new home was the ATV studios in Nunawading, Victoria, a station for which Bill was the Managing Director. ▪ 1978-1994 Film Vault assistant - Assistant Program Manager - Program Director. David Mott is now Network Ten’s chief programming officer. He has led Ten’s programming team since October 1997, having joined the network in 1996 as deputy network program director. His television career spans 30 years, beginning at TVW-7 Perth, where he served as program director before moving to ATN-7 in 1994 to take up the chief programming position. At Ten, David is responsible for the Ten, Eleven and One channels. He is the man responsible for bringing Big Brother to Australian screens, then later killing it off. He is also the man responsible for putting The Biggest Loser and MasterChef on TEN’s menu. The IMT previewing bit stirred a memory of Bob Pennell editing all the KRAFT references from THE PERRY COMO SHOW from the Kraft Music Hall in 1959/60. The 16mm print always arrived Saturday morning for telecast Saturday night. Because BST had decided against all forms of sponsorship Bob had to put silver paper on the optical sound track each time KRAFT was mentioned by Perry Como …and he mentioned it often. Anyway Bob eventually missed one or the silver paper fell off. There was all hell to pay and the inquest went on for a week . Remember when the same episode of COLES 3000 Pound Question, later COLES $6000 Question went to air on consecutive Wednesday`s ? Again the inquest went on for a week. Not too funny at the time !!!! Perry Como (1912 – 2001) was an American singer and television personality who trained as a barber, yet established a very successful career in theater, night clubs, radio and television, recording and Las Vegas appearances. He even appeared in a number of movies. Como has the distinction of having three stars on the Hollywood Walk of Fame for his work in radio, television, and music. Soon after his movie appearances in the 1940’s, he pioneered a weekly musical variety television show, which proved to be one of the most successful in television history. There were a number of incarnations broadcast on CBS and NBS, before the incredibly popular The Perry Como Show, premiering on Saturday, September 17, 1955. When Australia was just getting black and white television on the east coast in 1956, his program was one of the first weekly shows to be broadcast in colour in the US. In 1958, a nationwide poll of US teenagers found Perry Como to be the most popular male singer, beating Elvis Presley, the previous years winner. 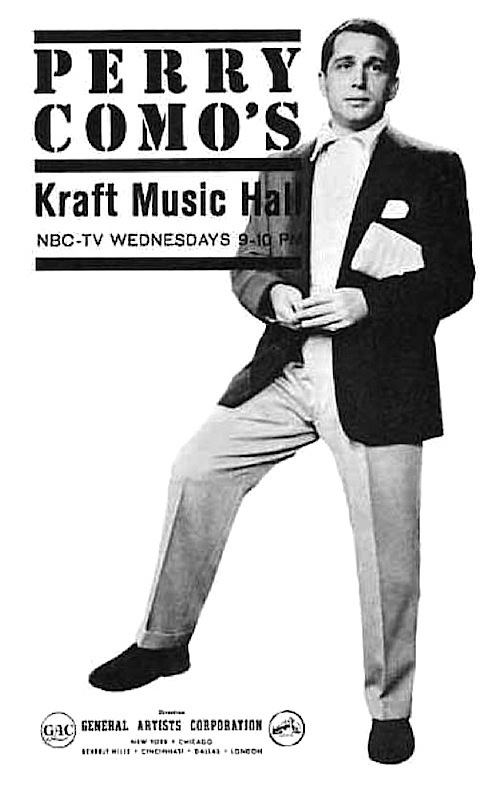 By the time TVW opened in 1959, Perry Como was hosting Perry Como’s Kraft Music Hall, a weekly show that ran till 1963, with the last last four seasons from 1963 to 1967 as monthly specials. Bing Crosby and Perry Como lament the lack of meaningful popular music on Perry’s show dated 16th March 1960. For TVW to broadcast the show back in 1959 and 1960, the only option was to purchase it in the kine-recorded format on 16 mm film. Kinescope (kine-recording) or tele-recording was a primitive method of recording live television shows before the advent of commercial videotape machines in 1956. The recording was made by filming the picture from a video monitor using a 16 mm or 35 mm movie camera mounted in front of the cathode ray tube. When Western Australia won the Australian football Carnival in Brisbane in 1961 we got the coverage a couple of days later and of course it was a kine ….pictures in b/w and it looked like it had been played at night without lights !!!! Viewers didn`t complain and Ray Gabelich was best on ground. In 1956, Ampex introduced the first commercial Quadruplex videotape recorder, followed in 1958 by a colour model in the US. The problem with videotape was that it was locked into the system used by that country. The US used 525 lines, whereas Australia used 625 lines, making it impossible to replay US videotapes in this country. We were locked into using kine-recordings on film until they came up with a primitive method of systems conversion by pointing a 625 television camera at a 525 video monitor, but this was little better than a kine-recording, due to the considerable loss in quality. Eventually digital techniques were applied and a reasonably faithful electronic conversion was achieved. Now the technology has gone full circle with feature movies increasingly using computer generated special effects, with the result being a video signal. Movies are also being recorded with high definition video cameras. There are economic reasons for using video, as costly film and film processing is not required and advanced computer editing techniques can be used. Though there is a need to covert the movie to film in the case of cinemas that do not have digital projectors, where traditional 35 mm film projectors are still employed. 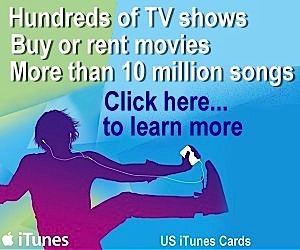 This therefore requires a video transfer system that will not result in an inferior product. In 2012, the Academy of Motion Picture Arts and Sciences awarded an Oscar to the makers of the Arrilaser film recorder. 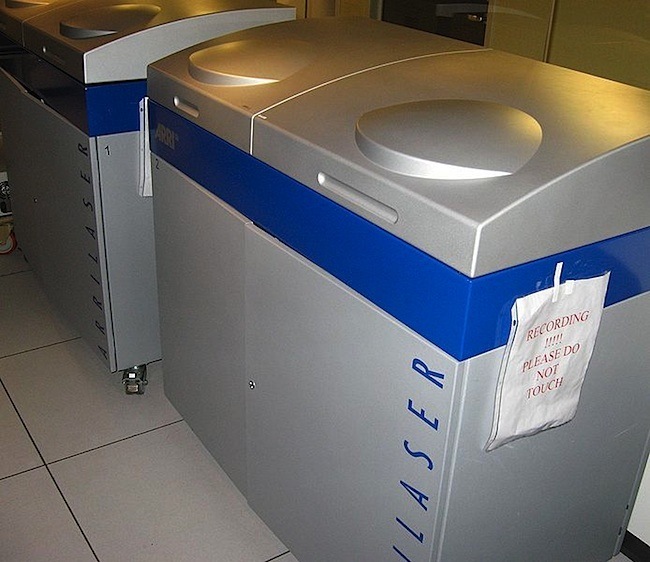 The Arrilaser is a digital film recorder made by Arri (the worlds largest supplier of motion picture film equipment) which uses three solid-state lasers (red, green, and blue) as a light source to record the image onto film, with outstanding results. Meanwhile, production teams who still use film cameras, need to convert film to a digital format for editing and blending of visual effects and other elements in the post-production phase of a motion picture. Much like the telecine chains used since the dawn of television transferred film to a television signal, high quality motion picture scanners now do this for the movie industry. Unlike a TV station which needs to show the film at normal speed, the modern film scanners often do so at a slow frame rate to create the high-resolution digital intermediate files for post-production work. The Arriscan is a slow frame rate motion picture scanner. These days both the television and movie industries have moved away from using traditional film techniques, where instead the process now involves files like a computer system, thus eliminating all the film stock and videotape handling, with the product being stored on either solid state devices or hard drives. 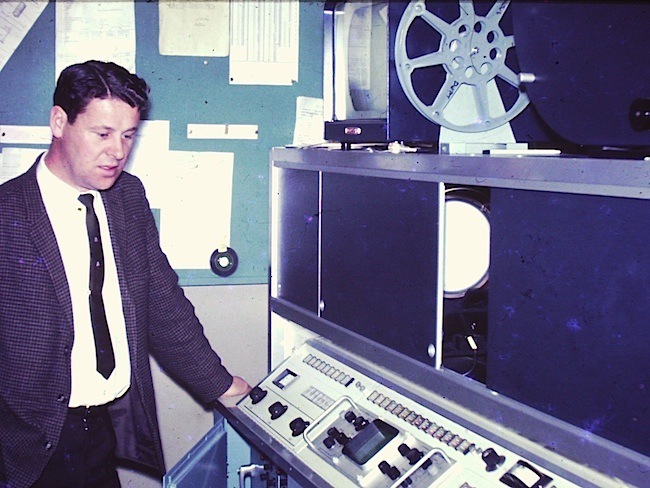 Computer techniques are also being applied to the restoration of old films. Clever software can substitute a quality image for areas of a film that are scratch or marred in some other way. The results are often outstanding for their clarity and consistency of image quality. Losing any jitter than may have been generated in the original filming process. Such blemish free vintage stock is now a joy to watch, and probably better than the original picture that cinema patrons would have witnessed in an era of hand cranked cameras and projectors.